The long awaited windows 8.1 is here and I successfully upgraded my Dell Inspiron 15 3521 everything was working well until when I decided to use my bluetooth and I found out that my bluetooth does not work, it can’t find devices, I can’t turn on and turn off bluetooth all it does was search and never finds anything. Then I began to search on the internet and I saw that I was not the only one complaining about this and it generally happens to all dell laptop that upgraded to windows 8.1 had problems with their bluetooth. I read different articles and tried different methods but none worked. I even installed the old drivers but got a error message and that because the driver is for windows 8 not for windows 8.1 as i thought. But I found a solution which worked for me and will work for your Dell computer or even not Dell products and this process is what I will like to share with you. the method is updating your bluetooth drivers manually. when you are there, you will be asked for your service tag which is a unique code that comes with the laptop or computer you are using. This helps them to automatically know your laptop model and other info or you can you the detect product and that if you are using the computer at the moment. I have my service tag and that what I used. Once you are in, this page will show you your laptop properties and other info. 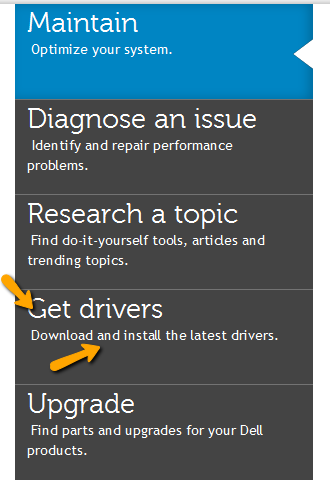 Look at the sidebar to the left you will and click on Download Drivers. Just like the image below. now change the operating system in the filter option from the operating system to ms windows 8.1 and it will load up again. Scroll down to Networks and click on it, you will find the Driver for bluetooth there, download it. After downloading it, install it and then restart your system and test your bluetooth again and see that it work. If you are not using a Dell laptop or computer you can try to download the updated version of the bluetooth driver compatible with Windows 8.1 and install it and Am sure it will work. The process that I have explanation is the exact thng I did for my laptop that made the bluetooth of my laptop to work back, so dont be scared when you upgrade to windows 8.1 and your bluetooth is not working, just try to get the updated version of your bluetooth driver, that should work as it will work for dell users too. Hahaaaa… I never checked if Bluetooth is working or not in my PC. Probably after it has WiFi and my devices connected with my lappy through WiFi, I never felt necessary to trun on and check Bluetooth. Anyway, your tutorial will help anyone when you need it to connect through Bluteooth. suresh khanal sir this help is not for u some people that have no wifi felt need of bluetooth so this add is for those peoples…. I just don’t why or maybe it’s just that I might just be afraid of change. Hahaha! I just love Windows 7 and just can’t imagine myself doing away with it. i was struggling for this error previously when i installed windows 8. Now i have the solution. Thanks for this nice step by step tutorial. I read on FB yesterday in your status update that you having issues with your Bluetooth after upgrading to windows 8. Well, I’m happy that you finally have resolved that. Don’t have a laptop so no hassle for me. Yeah I don’t but will get one soon. Thanks! Well the first thing is i don’t have a Dell laptop but my brother does, he don’t have the default bluetooth as he prefer to use a bluetooth adapter which is really handy. Thanks for the time you spent uploading this page. You instructions are so comprehensive. hey please tell me how do i fix my lenovo z570 windows 8.1 facing the same issue. my bluetooth radio failts to turn on. I hope you know that it is people like you that keep us from ripping our hair out from frustration. THANK YOU SO MUCH FOR THIS! Worked like a charm! I have a 3521 laptop . bluetooth and wireless were working fine with win 8.1 preview but when i installed a win 8.1 full version, wireless is working but bletooth is not working. i have the latest version of the driver( 1705). please help. Hi…thx for the steps..but I tried on the same way as you mentioned,still my dell3521 bluetooth not working(After COnnecting with other devices, in few seconds its showing Not conected. pls share if any other ways i’ve to try…..
am using that same laptop and that what i used to make mine work, i don’t know why yours is not working, did you update your bluetooth driver? hi , pls help me with the bluetooth problem I’m having. I have been working with Dell for over one month, with no resolution. Dell 3521, drivers updated, finds BT devices but fails to connect after upgrade to 8.1. Thank you so much for this quick and easy guide! You saved me from three hours worth of after-midnight panicking. Now I can use my Bluetooth-enabled mouse again. I bought a Dell Inspiron 15 3521 six months ago running on Windows 8 and since i bought it, I have been try Bluetooth to avail! I went to many forums trying to look for a solution for this but… I install ALL drivers and yet it is not working. U have to install all drivers in a specific order for blutooth drivers to work properly. Google for the correct order. Try uninstalling and re installing, if it doesn’t work re install windows and install drivers in the order. hi, i download wifi+bluetooth 1705 for dell 3521, but when i turn on and search , it not working. i waited for a long time but no happen would be. so can you tell me why? and how i can check my bluetooth devices is 1705 or 1704, in download page it take both of them. ah, i’m using window 8.1. and windows 8 oem before , it worked. I have a Dell Inspiron 3521. 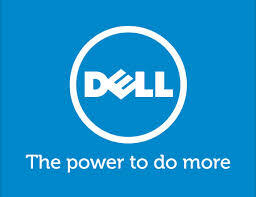 I have installed Windows 8.1 Pro 64bit and all installed all drivers which dell provides, not got any errors doing so. I have gone through the Computer Management tool and not found any drivers installed which were marked as alert or non-functional. I had updated my bluetooth driver which was showing “generic” and now shows “Dell Wireless 1705 bluetooth”. Still for some reason I am not able to connect any bluetooth devices.